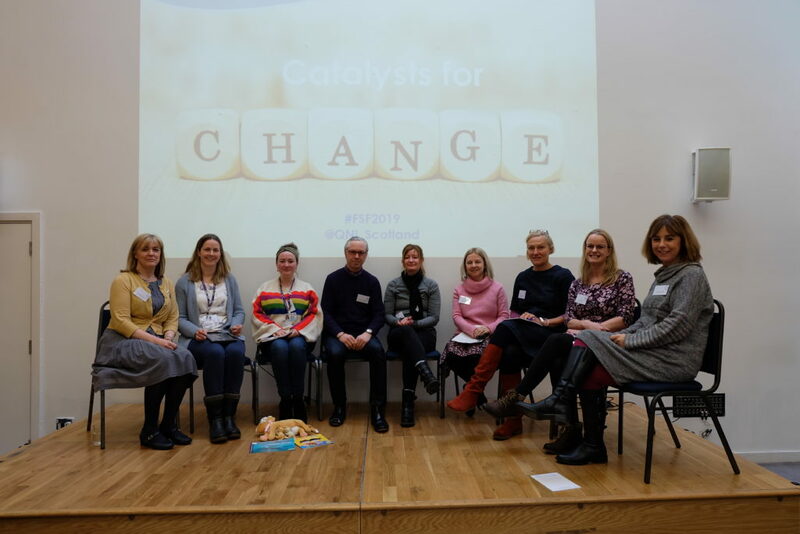 An inspiring day of hearing powerful stories from a group of community nurse-led projects tackling health inequalities has been held as part of the wider Fire Starter Festival – a series of Scottish collaborative learning events taking place between January 28 and February 8. 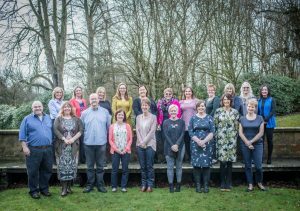 The Queen’s Nursing Institute Scotland hosted the Community Nurses as Catalysts for Change event at the Grassmarket Centre in Edinburgh to celebrate the successes achieved by seven projects. Around 60 people gathered at the venue to hear from those involved in five of the projects, which took place under the QNIS Catalysts for Change 2017/18 programme. They included a group looking at breastfeeding education for children and young people; a men’s shed; a walking group to improve mental health and wellbeing; a project looking at the wellbeing of informal carers for people with dementia; and, a project establishing blood borne virus testing in police custody. 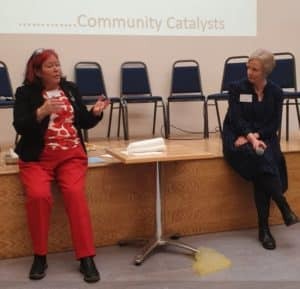 Professor Lesley Yellowlees, the former Head of the School of Science and Engineering at the University of Edinburgh, also spoke to the audience about comparing what makes a scientific catalyst and what it means to be an effective catalyst for social change. She said: “With chemical catalysts, you need to find the right catalyst for the right reaction. “They often need support, they need looking after and they are valuable. 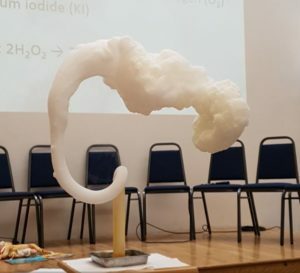 She also carried out two demonstrations using catalysts – one which delighted the crowd with its spectacular “elephant’s toothpaste” result and the other which shocked some with a loud bang. 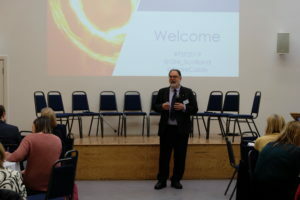 The event was organised by Dr Jonathan Sher, QNIS Deputy Director, who said: “This was the first event celebrating the Institute’s 130th anniversary. From the start and continuing today, QNIS’ mission is to improve the health and wellbeing not only of individuals and families, but also of the communities in which nurses are embedded. “Overcoming health inequalities, while promoting prevention and early intervention, are the hallmarks of our Catalysts for Change initiative. The Fire Starter Festival provides an opportunity to share stories of sparking change while exploring the knowledge and skills underpinning transformation. It allows people from all aspects of public service to share innovative and creative ways that we are all making a difference to Scotland. Fire Starter events are a chance to showcase and share “creative, innovative and dangerous ways” in which projects are transforming public services. You can read more about QNIS’ 2017 Catalysts for Change projects here, but please do check back soon as a revamped web page is currently under construction. Prof Yellowlees’ presentation is available to download here.